HANGZHOU, Dec. 18 (Xinhua) -- China and Japan have agreed to promote pragmatic cooperation in the marine field in accordance with the consensus of making the East China Sea a sea of peace, cooperation and friendship. The agreement was reached during the tenth round of high-level consultations on maritime affairs between various government departments from the two countries, held from Dec. 17 to 18 in Wuzhen, east China's Zhejiang Province. 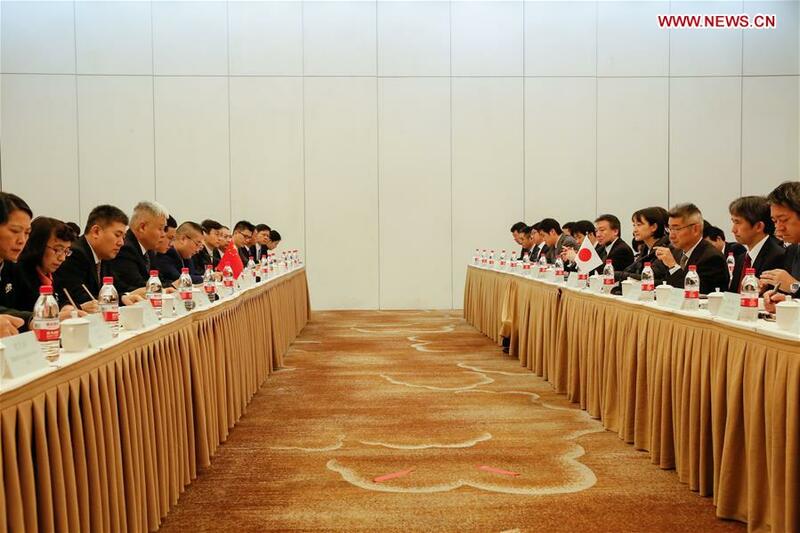 The two sides agreed to continue promoting maritime searches and rescue cooperation. They exchanged views on establishing and opening a direct telephone under the air and maritime contact mechanism. They also agreed to hold the second meeting of experts to discuss marine waste in 2019. The two sides pledged to cooperate more in fishery, marine geology, Arctic affairs, as well as sea-related think tanks. China and Japan also agreed to hold the 11th round of high-level consultations on maritime affairs in Japan in the first half of next year.